Weise is the word! Dale Weise was a one-man wrecking crew for the Montreal Canadiens in a pivotal Game Three showdown with the Ottawa Senators on Sunday night. Trailing 1-0 in the third period, the Canadiens fourth line, led by Weise, sparked an energetic comeback, and knotted the game with less than six minutes to play. 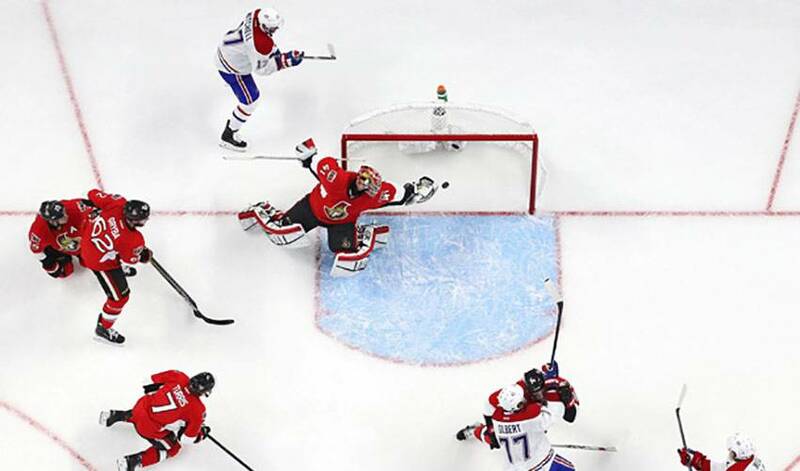 Fast forward to overtime and once again it was Weise supplying the heroics, snapping home the winner to lift Montreal to a 2-1 triumph and a commanding 3-0 series lead in the Eastern Conference quarterfinal set. Was it a big surprise to see Weise netting the big one(s)? Not really, considering he scored the OT winner against Tampa Bay last year in the opening game of that first round playoff series. STAT PACK: After appearing in six playoffs game with the Canucks, Weise has skated in 19 post-season contests with the Habs, recording nine points and a plus-7 rating. NEED TO KNOW: Weise was the recipient of the (AHL) Hartford Wolf Pack’s Man of the Year Award for his community service in 2008-09. NO STRANGER TO THE RANGERS: Weise was originally drafted by the New York Rangers, selected 111th overall by the Original Six club in 2008. He played in 10 total games for the Blueshirts in 2010-11, before he was waived by the club and claimed by the Canucks soon after. CHIP IN, DALE: Weise netted his first big-league goal in his seventh game with Vancouver on October 20, 2011, tipping a shot home in a 5–1 win against Western rivals, the Nashville Predators. The forward’s energetic play helped establish Vancouver’s fourth line as one of the most effective units in the NHL. HONOURABLE MENTIONS: John Tavares wasted little time in ending the proceedings in Game Three against the Washington Capitals, scoring the overtime winner just 15 seconds into the extra frame, sending the Nassau Coliseum faithful into a frenzy. Scott Darling, in his first NHL post-season start, showed veteran poise, and made 35 stops in a 4-2 home Chicago win over Nashville. WEEKEND STANDOUTS: Nicklas Backstrom (1G, 2A) led the Capitals to a 4-3 home win over the New York Islanders on Friday night. Vladimir Tarasenko (3G) was at the top of his game against the Minnesota Wild on Saturday, recording a hat trick in a 4-2 Blues win.